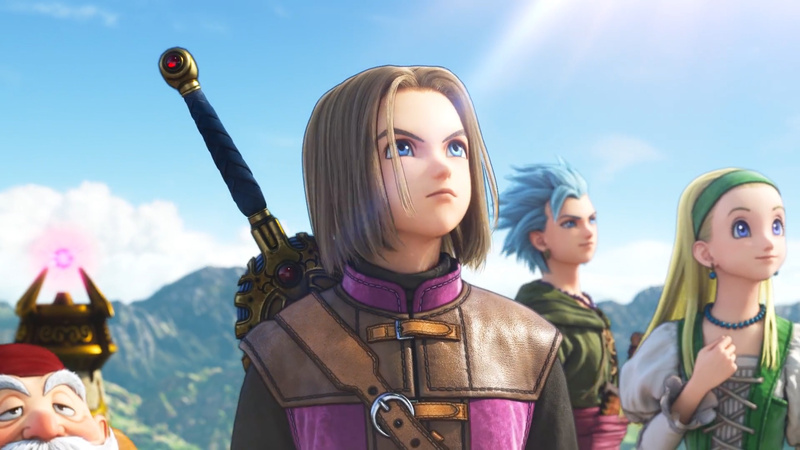 Square Enix has released a selection of Dragon Quest XI: Echoes of an Elusive Age avatars for free on the PlayStation Store. Apparently, this is only the first batch, so you can expect more to follow later down the line. This initial wave includes illustrations of the game's main party members: the hero, Erik, Serena, Veronica, Sylvando, Jade, and Rab. Lovely stuff. Will you be changing your avatar to one of these adventurers? Protect the Luminary in the comments section below. What a great bunch of characters these were. Apart from the hero, he just nodded and grunted and only actually talked when he was a little kid. I've never played a dragon quest but I love JRPGs and any design by Akira Toriyama hits me with nostalgia... I pretty much have my answer but feel free to confirm this should be added to my backlog. @ApostateMage Weird, I don't see a green tunic on him and he seems to be right handed. @Rhaoulos It's a phenomenal JRPG. Starts out a little slow, perhaps, but once things get going, it's superb. My personal Game of the Year for 2018, and it had some real competition. @MistressTonberry Ooh, interesting, thanks for letting me know! @ShogunRok No worries - only noticed it because of this article anyway, as I usually only check the themes/avatars stores on a Tuesday. @ApostateMage And that's why silent protagonists are rubbish and should be a thing of the past. Man I hope 2019 is the year we abolish silent protagonists forever. Unless your game is YIIK. Then it's okay. @johncalmc @Acquiescence Yeah, I'm not a fan of the silent protagonist either. It just looks ridiculous when every other character around them is voiced. Many people complained about Fallout 4 being dumbed down because the player character was voiced but I much prefered it than to the old mute days. I think it gives them so much more character. I'm a bit gutted that the up and coming The Outer Worlds has you play as an unvoiced protag. @Rhaoulos I absolutely loved it. It was a game that once I started I couldn't put it down and I didn't play anything else until I got the platinum. @Rhaoulos @ShogunRok just adding my two cents, cause I had a very different experience: I am about to face the final boss and I can say this has been the less interesting RPG I played on ps4. A part from the vibe of the thing not being my piece of cake - it has got some pretty huge flaws: the traditional combat system is so old school it could only be fun if it the game was challenging like back in the day - but the game is so easy you will have to try very hard to lose a fight and you can't change the difficulty setting. You will never have to conjure up a tactic to face a boss, just use your strongest attacks and some healing... On top of that DQXI has what has got to have one of the worst soundtrack ever for a Square Enix game. I turned the score off after act 1 and I am currently listening to podcasts while I play, pausing them for cutscenes. 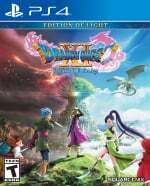 I mean this is supposed to be a JRPG, it's basically a fun battle system + good music. Go with Persona 5 if you want a classic JRPG or FFXV or XII if you want something more modern imho. ^ When you start the game put on draconian setting: Stronger Monsters. The game for the most part is too easy otherwise. Unless you don't want a challenge. The soundtrack can be altered on PC to the fully orchestrated version that was later released if the MIDI quality is a problem and you're on that platform. Personally I was humming along after a while and enjoy the music. Thanks for the feedback guys. It's good to have some personal opinions. I got to gondolia on my playthrough and lost interest, it felt like I was at a new town every 5 minutes with not much to explore and nothing really drew me in. It's a pity because I absolutely loved dragon quest 8, also the music not been orchestrated was a bit of a letdown and on ps4 Pro there was some really bad graphical blur that put me off.